The illusionistic bowknot became one of Schiaparelli's most popular, and copied, designs. 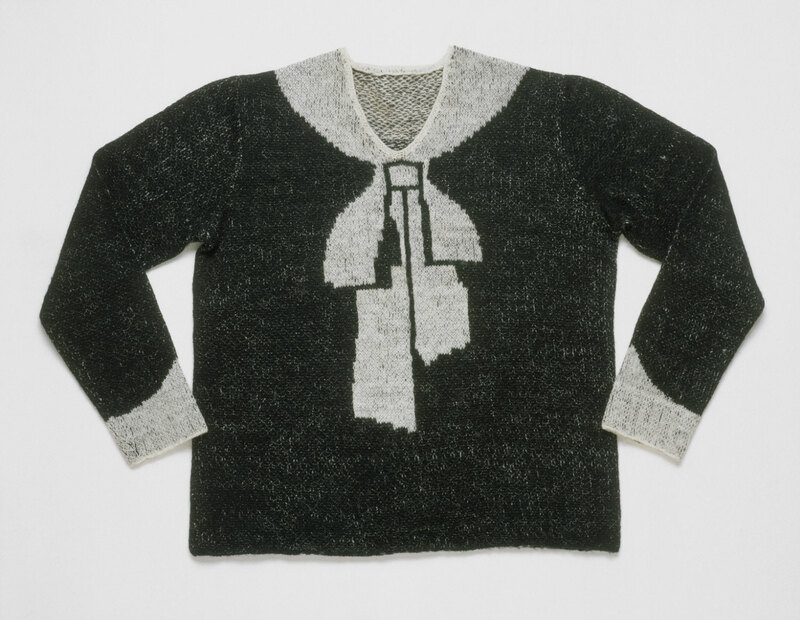 Schiaparelli’s signature bowknot sweater, from her November 1927 collection, was her first big success and became one of her most copied designs. Before achieving the final version, Schiaparelli experimented with several renditions of the design. Archival photographs support her statement that most of these attempts were less than successful. Dilys E. Blum, from Shocking! The Art and Fashion of Elsa Schiaparelli (2003), p. 20.